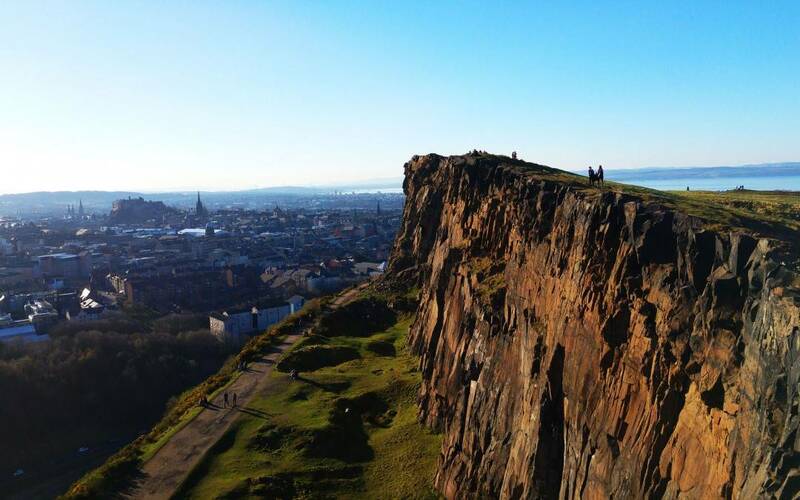 Experience a proper hill walk on an ancient volcano in the heart of Edinburgh! Pictures by Louison Guicheteau – all rights reserved. Arthur’s Seat, an ancient volcano, is the main peak of the group of hills in Edinburgh which form most of Holyrood Park. It is situated just to the east of the city centre, about 1 mile (1.6 km) to the east of Edinburgh Castle. 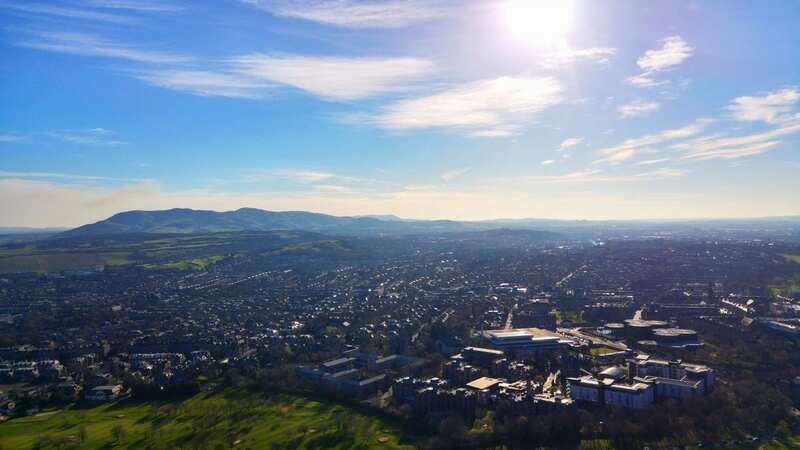 The hill rises above the city to a height of 250.5 m (822 ft), provides excellent panoramic views of the city and beyond, is relatively easy to climb, and is popular for hillwalking. Though it can be climbed from almost any direction, the easiest and simplest ascent is from the east, where a grassy slope rises above Dunsapie Loch. 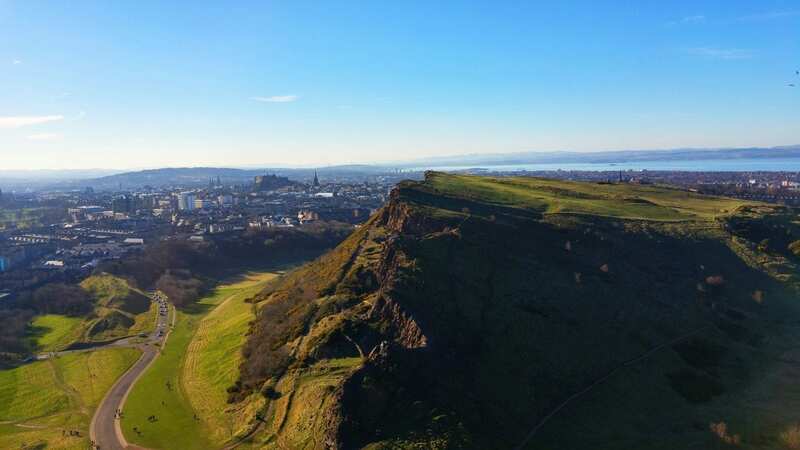 At a spur of the hill, Salisbury Crags has historically been a rock climbing venue with routes of various degrees of difficulty; however due to hazards rock climbing is now restricted to the South Quarry and a free permit is required. It is also the site of a large and well preserved fort. This is one of four hill forts dating from around 2000 years ago. With its diverse range of flora and geology it is also site of Special Scientific Interest. Experience a proper hill walk in the heart of the city. 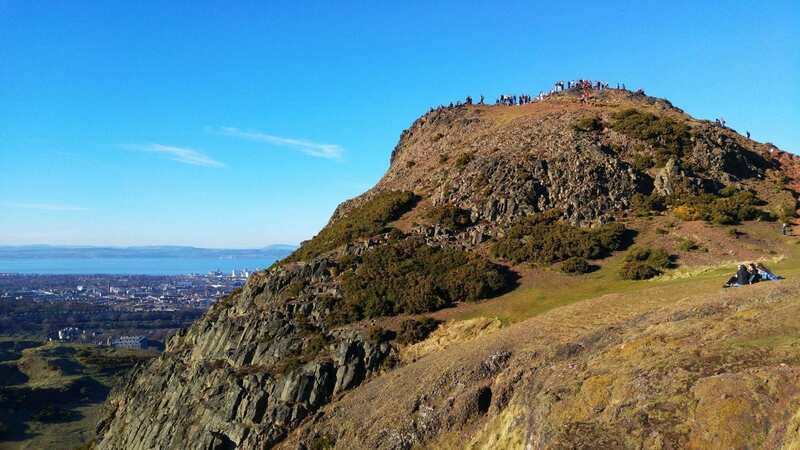 Arthur’s Seat’s rocky summit towers over Edinburgh, with fabulous views in all directions, and the extensive parkland surrounding it is an oasis of calm as a retreat from the busy city. 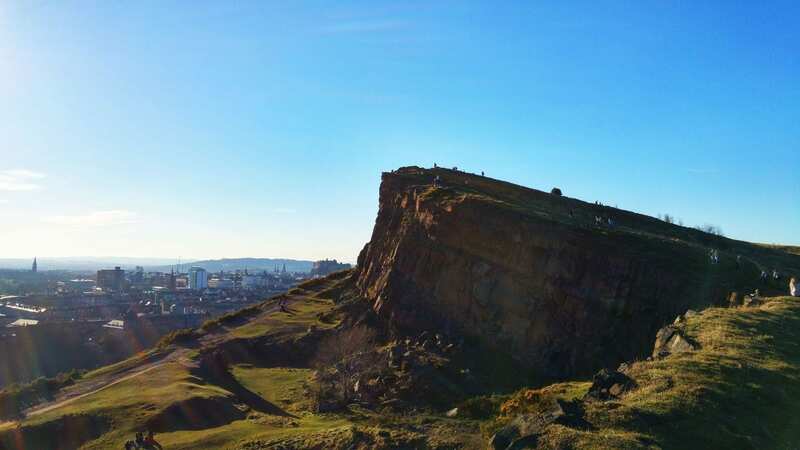 Arthur’s Seat is often mentioned as one of the possible locations for Camelot, the legendary castle and court of the Romano-British warrior-chief, King Arthur. Tradition has it that it was at the foot of Arthur’s Seat, covered by the forest of Drumselch, that Scotland’s 12th-century king David I encountered a stag while out hunting. Having fallen from his horse and about to be gored, he had a vision of a cross appearing between the animal’s antlers, before it inexplicably turned away, leaving him unharmed. David, believing his life had been spared through divine intervention, founded Holyrood Abbey on the spot. The burgh arms of the Canongate display the head of the stag with the cross framed by its antlers.